Dreamland Golf Academy offers luxury world-class teaching and practice facilities for all standards of golfer: both indoor and outdoor long and short game practice facilities, fun floating targets for young golfers, private VIP practice area for special guests or corporate events, performance studio with V1 Academy teaching software, FlightScope launch monitor, and putting studio with SAM PuttLab. We also have a 9-hole Academy par 3 course which is perfect for developing your short game. Academy retail shop offering leading brands such as Callaway, Titleist and FootJoy. FlightScope is one of the world’s leading launch monitors. It uses the latest radar technology to track ball flight and calculate data such as distance, clubhead speed, ball speed, launch angles, spin rates, etc. It can help any level of golfer understand their impact factors and also be used in skills assessment challenges. SAM PuttLab is the ultimate putting training system. It utilises ultrasound technology to analyse the 28 most important parameters of your putting stroke. We interpret graphs to examine rotation, acceleration, swing duration or impact, to tailor your training strategy based on your weaknesses and strengths. 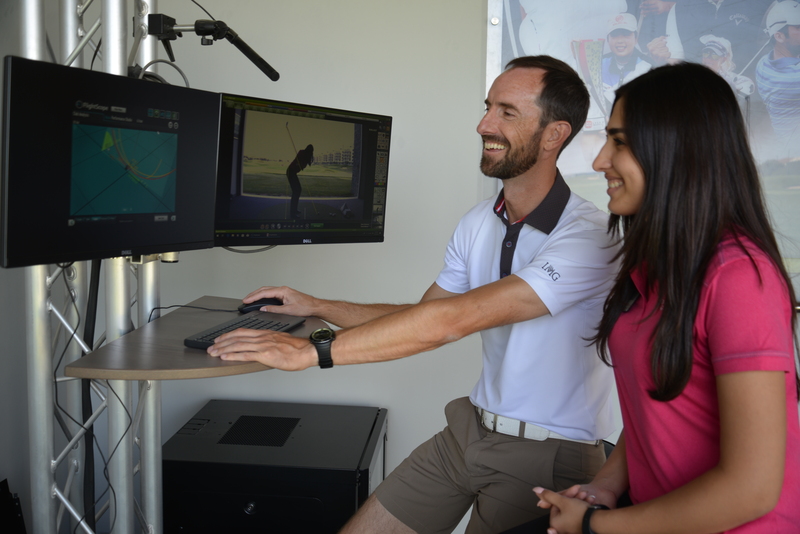 V1 Pro Software is the number one video analysis software in sports, which we employ to capture, compare and improve the performance of our golfers. We use it to keep you progressing outside the Academy. Wherever you are we will deliver Dreamland video swing instruction either by creating our own swing videos or analysing yours so you’ll progress at maximum pace.